In celebration of March Madness, the AJKO "Rivalry" Pack is set to hit stores this weekend. Known as the "Rivalry" Pack, this collection was made to commemorate the history rivalry between the University of North Carolina and Georgetown University. 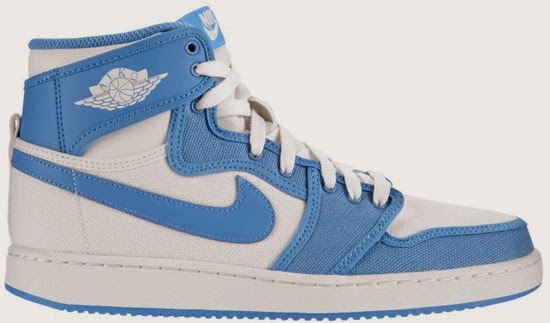 Featuring two pairs of the Air Jordan 1 Retro KO High OG with one colorway inspired by the Tar Heels while the other is inspired by the Hoyas. 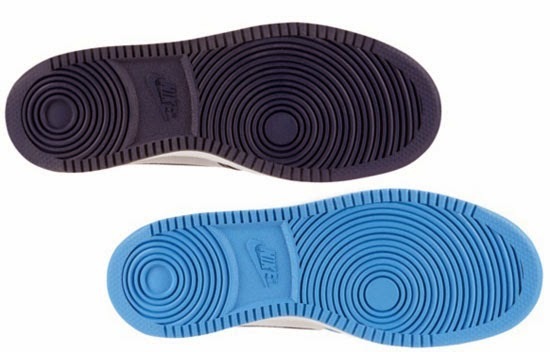 Both pairs feature full canvas uppers, "AJKO" on the wings logo and "Nike Air" branding. A limited release, look out for this pack at select Jordan Brand accounts worldwide on Saturday, March 15th, 2014. 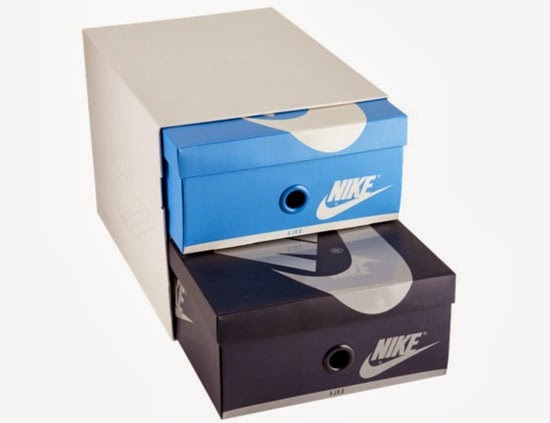 Retail is set at $300 and, they will only be available as a pack, not sold separately. 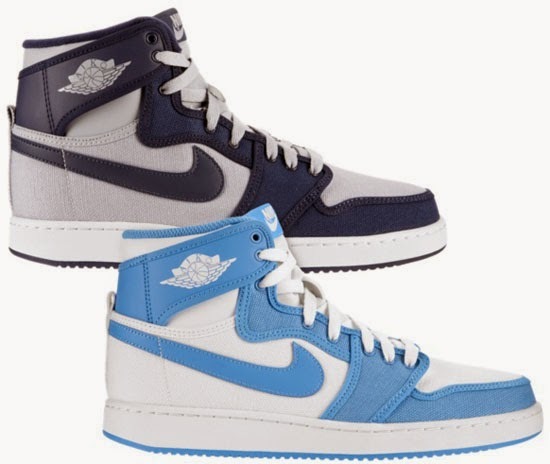 Enjoy the official images below of the "UNC vs. Georgetown" Air Jordan 1 Retro KO High OG "Rivalry" Pack in multi-color and multi-color below. If you're interested in picking these up when they release, check in with your local spots to see if they will be receiving them. Those of you looking for them now can, grab them from eBay here.